Fig. 1(a) Wolves used conventional seismic lines (CON) more than they were available, meaning they select them for travel. Low-impact seismic lines (LIS) were not selected; (b) Median wolf travel speed (km/h) was faster on conventional seismic lines than low-impact seismic lines in the summer. Undisturbed forest is included for comparison. Long, narrow corridors are created throughout the forest of Western Canada to facilitate transportation and oil and gas exploration and extraction. These linear features, such as seismic lines, pipelines, and roads, are thought to contribute to the decline of woodland caribou. While linear features have a small direct footprint on the landscape, they are believed to play an important role in woodland caribou declines because they change how predators use their landscape. 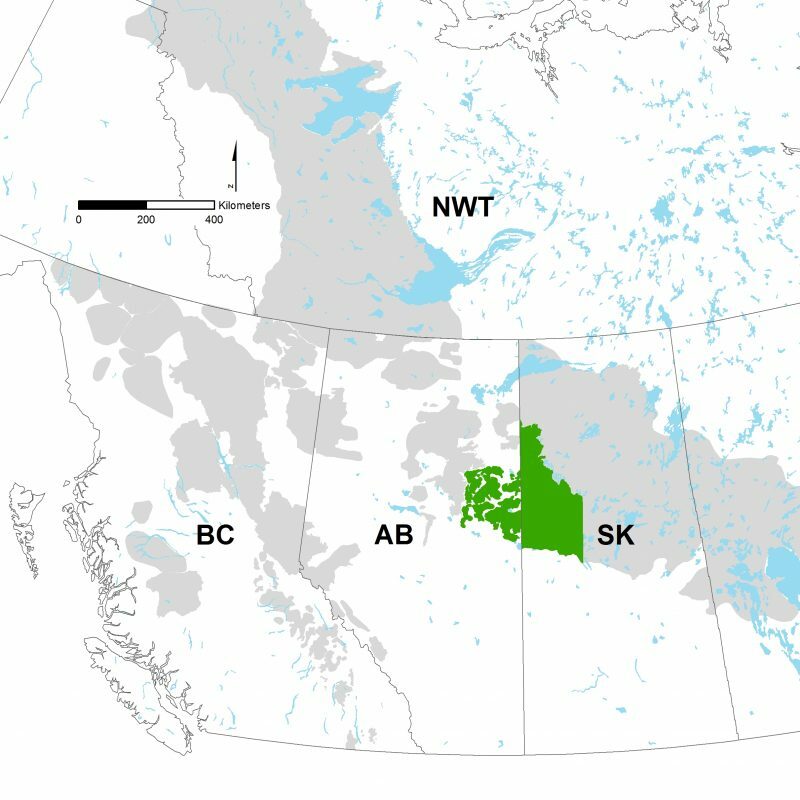 First, linear features increase wolf use of peatlands, breaking down the spatial separation strategy caribou use to separate themselves away from their predators. Second, predators such as wolves are hypothesized to use these features to facilitate hunting behaviour, moving throughout their home range more quickly and encountering more prey. 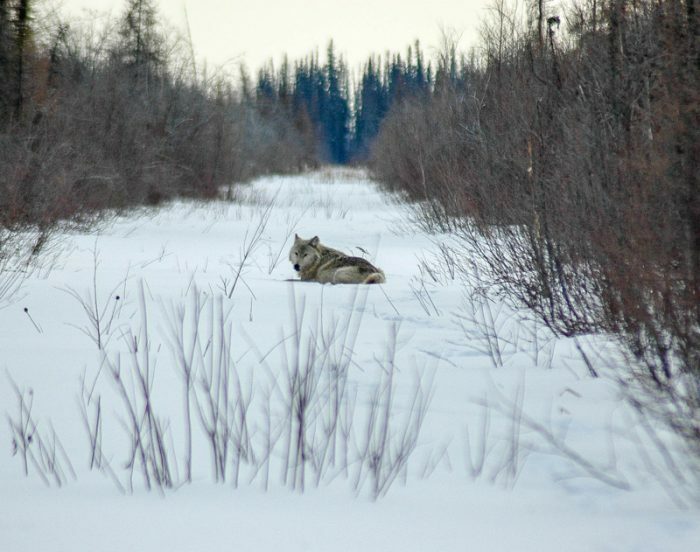 Research supported by the ABC Chair and CMU addressed whether wolves preferentially selected linear features for travel and if their speed increased while on them. Melanie Dickie, former MSc student in Dr. Boutin’s lab, tracked wolves with GPS collars that obtained a location every 5 minutes. If available, wolves typically selected linear features, and travelled two to three times faster on them. Average daily travelling speed and time spent travelling on linear features increased overall daily movement rates, suggesting that wolves’ use of linear features may increase their search rate across the landscape. These findings support that wolf use of linear features may increase wolf hunting efficiency, thereby increasing kill rates of already threatened woodland caribou. However, wolves did not treat all linear features equally. For example, wolves were less likely to use low-impact seismic lines and trails for travel compared to wider and straighter features such as conventional seismic lines. For more information, check out ABMI’s blog.